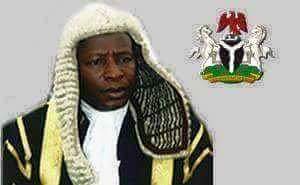 Bar Ifeanyi Ejiofor narrates, I entered inside the court this morning with Barrister Maxwell Okpara, only to be informed that the same judge(Abdul Kafarati) that granted the prayers for the proscription of IPOB has postponed the matter to a later date. Okpara in his own view said the man is obviously running away from the case. We're now waiting for the Court clerk to pick another date of adjournment. Reporting from Federal High Court, Abuja.